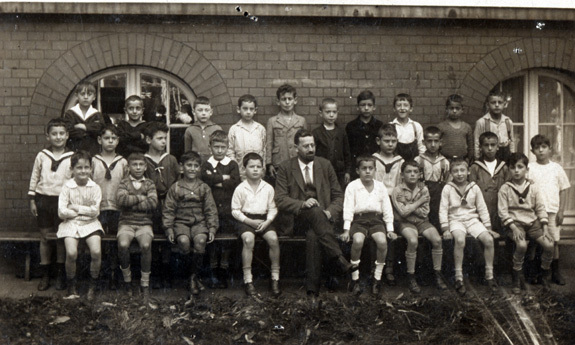 Willy Adler's second grade class at Talmud Torah Realschule, ca. 1927; Hamburg, Germany. Willy is the farthest to the right on the first row.